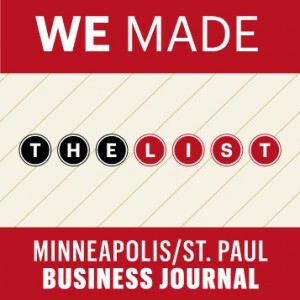 We are honored to be named a Top Twin Cities Engineering Firm by the Minneapolis/St. Paul Business Journal. The top Twin Cities engineering firms is an annual list that ranks firms by their number of metro-area registered engineers. This year we ranked 8 out of 25, which is two steps up from last year! Congratulations to our employee-owners for making this award possible.